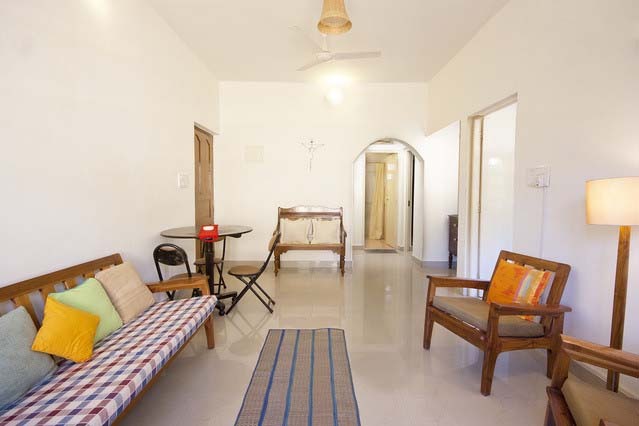 Our Holiday Apartment in Arossim South Goa is located in a resort Complex. 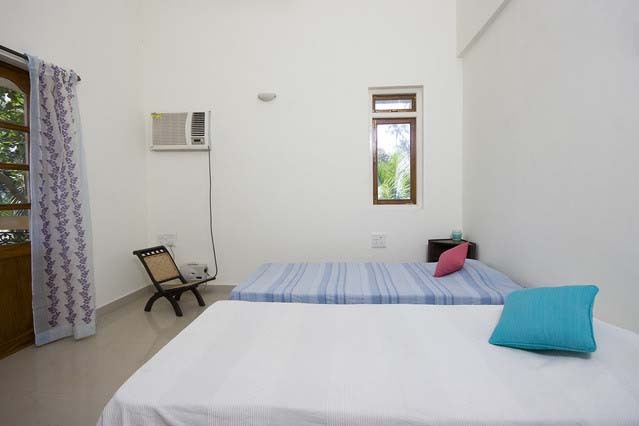 Situated 14kms from the airport and very close to some of the leading 5star hotels as the Kennelworth and Park Hyatt. Nearest super stores and market area is Cansaulim where fresh vegetables and fruits are close by at the junction. 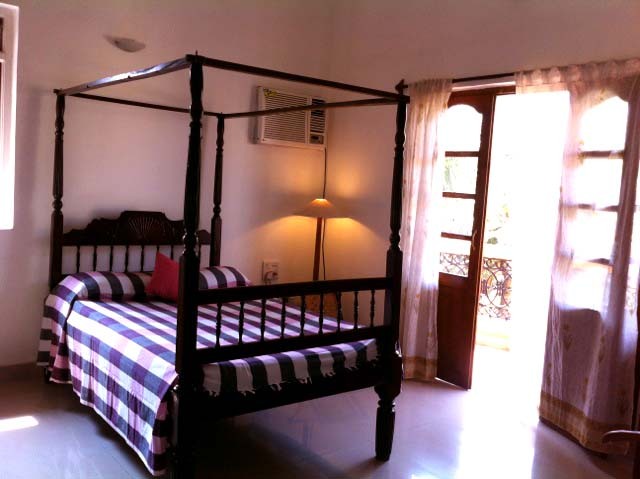 All bedrooms are air conditioned with spacious, balconies facing the country side. The apartment sleeps 4pax. 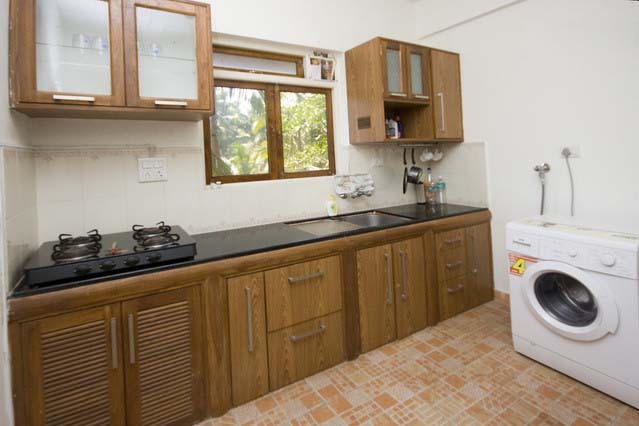 We provide you with a fully functional kitchen with basic cooking utensils. Two washrooms with hot and cold water, one with the master bedroom and one common. 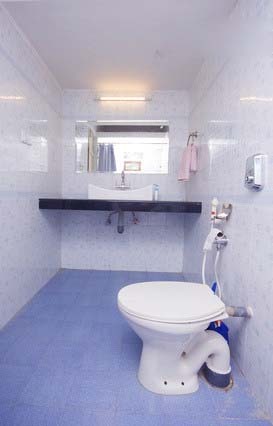 Accomodation: Max 04 Adults, Two Bedrooms, 2 Bathrooms, 3 Beds. The master bedroom has an antique four poster bed which is a compact double. Tall guests please take a note of this while booking! 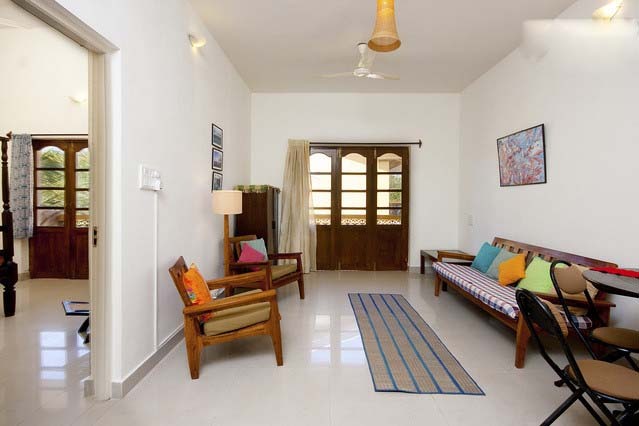 Seven minute walk to the pristine white sand beach of Arrosim. shops and Restaurants are a short walk away and the airport is about a 15-minute drive.